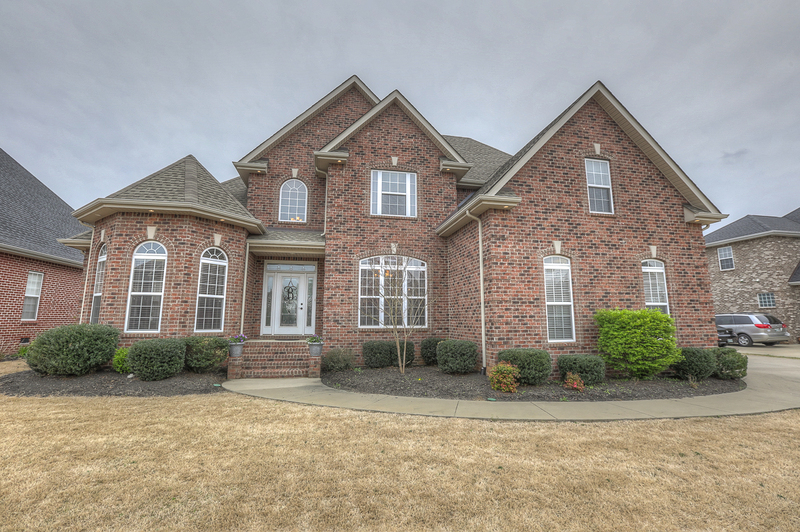 This is an Amazing custom built brick home on a beautifully landscaped lot. It has a fenced in back yard with a sprinkler system. As you walk into the grand foyer it takes your breath away by it’s elaborate moldings and trim work and gorgeous hard wood floors! The living room and kitchen are open with tons of windows and natural light. The kitchen is a work of art with it’s many cabinets and counter space. It is perfect for entertaining! The great room has a beautiful fireplace. The formal separate dinning room is wonderful with it’s crown molding, chandelier and a huge window for lots of light. The master bed room on the main floor is simply amazing with lots of windows, trey ceilings and separate walk in closets. The master bath has more than plenty of space with all it’s cabinets, the double vanities and the separate big shower and whirlpool tub. If your looking for a home with a big utility room with a separate deep sink this one has it! There is a second bedroom and full bath located on the main level that makes it accommodating for guests. The third bedroom upstairs has a walk in closet. The full bath upstairs has a double vanity as well. The Fourth bedroom has a large closet and adjoining door to the bathroom. It’s spacious bonus room has a large storage closet and it comes with a full wet bar with cabinets and a mini fridge. All of this and there is more the house has a community pool and dog park! This home is close to the interstate, close to tons of shopping and restaurants! Plenty of things to do near by, such as golf, the Green way trail for bicycling and walking, shopping, restaurants, putt putt golf, go karts, driving range, batting cages, fitness centers, parks and so much more! The city of Murfreesboro has events in the square and in Cannonsburgh Village such as music venues, movies in the square and art festivals. Check out my web site and virtual tours on this wonderful home! This entry was posted in Uncategorized and tagged 4 bedroom home, community pool, fenced back yard, Geneva Dr, home, home for sale, house for sale, keller williams, kim reynolds, murfreesboro, real estate, southern meadows by Kim Reynolds, Realtor. Bookmark the permalink.